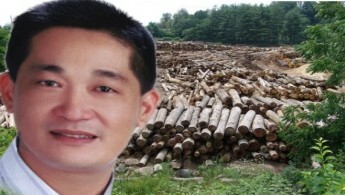 Bandar Kuching MP Chong Chieng Jen is pushing for an emergency debate on the arrest of indigenous activists and Iban longhouse chiefs in relation to the burning of a timber camp owned by a company linked to the powerful Sarawak Chief Minister Abdul Taib Mahmud. 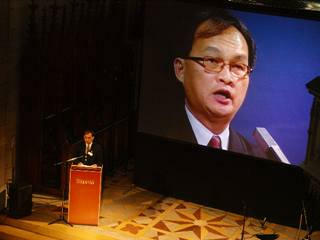 Chong condemned the arrests as illegal, claiming that there was no evidence to link them to the fire. The government will go on with the Bakun hydro dam impoundment, Second Planning and Resource Management Minister Amar Awang Tengah Ali Hassan said. 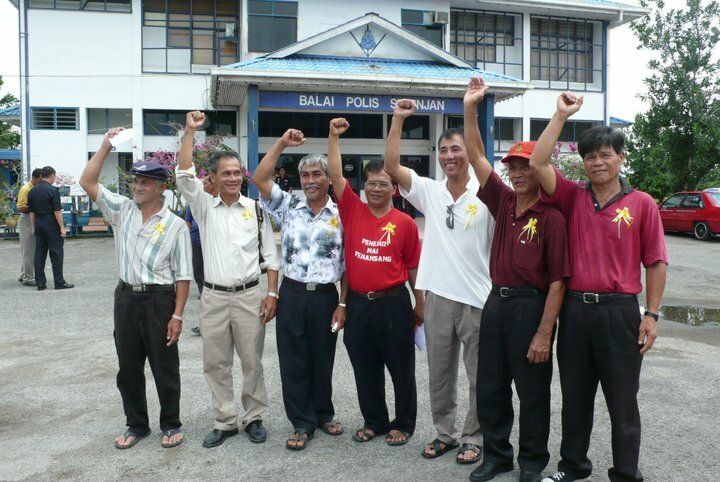 ( Updated 15:30) All 7 Simunjan NCR landowners arrested and detained since last week for allegedly blockading logging activities and torching a timber camp linked to Roziah Mahmud, the sister of Sarawak Chief Minister Taib are released this morning (25 Oct) on police bail of RM 1000.00 each with one surety. 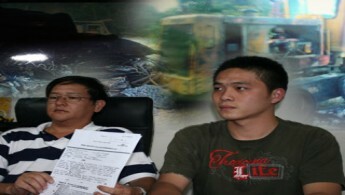 PKR state publicity chief See Chee How(right) , and the lawyer representing seven suspects arrested for alleged arson at a timber camp in Ulu Sebangan, has said he hoped that the police would do a fair and evenhanded job in their investigation. See was with the villagers on Saturday at Simunjan police station. He said he understood the police had a job to do, but they must be fair and not be prejudiced against the suspects. 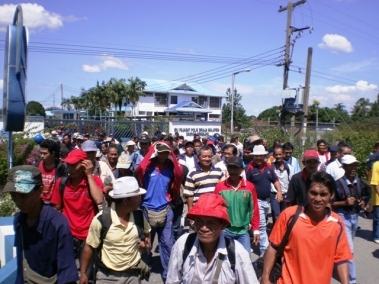 More than 200 owners of native customary rights (NCR) land gathered outside the gate of the Simunjan police station here demanding to be detained together with seven of their colleagues who were being held for alleged mischief with fire yesterday. Fearful of more owners turning up, police quickly closed the gate to prevent them from entering and called for more reinforcement. In a recent story Sarawak Report exposed the shocking attempt by the firm Quality Concrete to force Iban villagers to hand over their rights to 3,035 hectares of Native Customary Rights Lands in Sebangan for just MR 250 (US$ 80) per family. 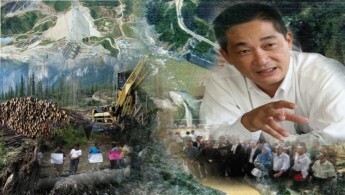 Sarawak Forestry Corporation Chief Executive Officer (CEO) and forestry department director Len Talif Salleh has dismissed the horrific ecological and infrastructure damage wrought by the Rejang log-jam as a “natural disaster”. ( Updated 18:30 )( Updated 17:00 )Semujan police were deployed to a timber camp in Ulu Sg. 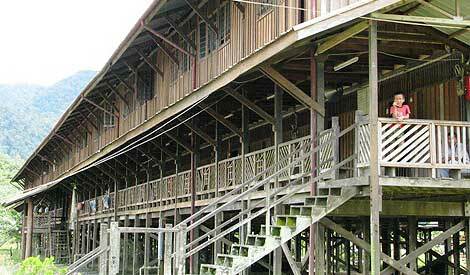 Selabu, Sembang to ease tension between a logging timber company and some longhouse folk. It was alleged Monday that two environmentalists, two Tuai Rumah and some 100 longhouse folk had burned down a timber camp along with its equipment which were valued to be worth more than RM2 million. Natives living in the upper reaches of Kapit and Belaga are praying that it will rain on Saturday, Oct 23, as prophecised by the Sarawak Metrological Department. If there is ‘intermitten rain over 10% of Kapit’ then the dry spell would be broken and Rajang would be saved. That’s how critical the situation is for communities living in the Nanga Merit district, Kapit, Pelagus and Belaga. 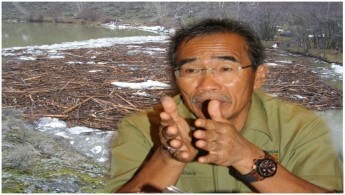 The blame game between Land Development Minister James Masing and state forest director Len Talif over the recent logjam disaster along the Rajang river has shifted to the weather. Talif is blaming the rain and is of the opinion that loggers had nothing to do with it. Why would someone harness the power of moving liquid and transform it into a clean and usable energy? The answer is of course for the electricity that is utilized to operate the multitude of electrical and electronic devices that we have. Simple answer. The Movement For Change Sarawak (MoCS) is happy that Sarawak Land Development Minister James Masing has agreed to the setting up of an independent committee to investigate the ecological disaster on the Rajang River. “The minister’s response is a ‘positive one’. Now he should bring up the matter with his Cabinet colleagues as soon as possible,” MoCS leader Francis Paul Siah said here today. 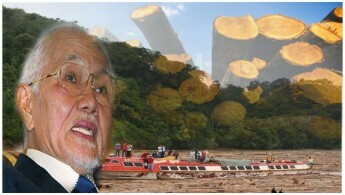 Sarawak Chief Minister Abdul Taib Mahmud has attempted to explain away last week’s massive accumulation of felled logs and driftwood on the Rejang river as a natural phenomenon. The Sarawak Legislative Assembly has been urged to set up a Special Select Committee to conduct a full-scale investigation into the recent ecological disaster on the Rajang River. Making the call here Wednesday, Movement For Change, Sarawak (MoCS) leader Francis Paul Siah said the committee must be independent and should comprise equal representation from both sides of the political divide. What makes Masing ‘not an ostrich’? 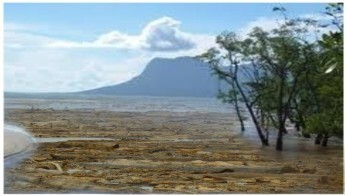 State Information Chief of PKR, See Chee How, said he found it bizarre for Minister for Land Development, James Masing, to call on his own cabinet colleagues not to take the ‘ostrich’ approach, but rather to take stern action against those repsonsible for the timber mass and debris clogging up the Rejang River. In a press conference this morning at PKR Stampin Mile 3, See said Masing had called it as an ecological disaster but after nearly a week, the state government is still in the dark as to its root cause. The dispute over the 3,305 hectares of communal forests between the natives and a logging company has caught the attention of the Prime Minister’s Department. The land, which the natives claim to be their native customary rights land, is situated between Sungai Sebangan and Sungai Sebuyau. Three officers from the Ministry of Defence last week compiled “intelligence reports” on the dispute, which would be forwarded to Prime Minister Najib Tun Razak. Rajang logjam caused RM2.7 million loss ? The massive logjam in the Rajang River has caused an estimated loss of RM2.7 million after bridges and jetties were awash with debris, beginning from the Malataheli timber camp, about 75km upstream from Kapit. The logjam on the Baleh and Rajang rivers in Sarawak, reputed to be 250km long, stretching from the upper reaches to Kanowit down to Sibu on the South China Sea coast, could not have come at a worse time for the government of Chief Minister Abdul Taib Mahmud. 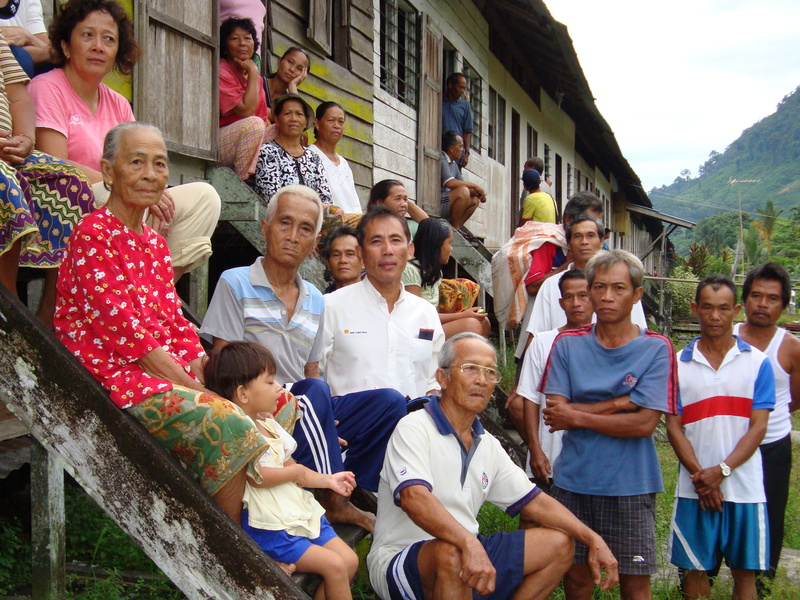 The continuing logjam, making river transport nearly impossible and depriving people living in longhouses off the banks of vital fish stocks, has heightened Dayak discontent with the ruling BN coalition, already embroiled in disputes with the community over native customary rights (NCR) land. 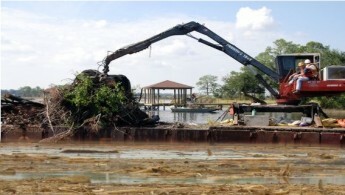 The state government was taken to task by Sarawak PKR for failing to prevent the “ecological disaster” that saw the Rajang River being clogged by timber mass and debris since last Friday. PKR state information chief See Chee How, at a press conference here Tuesday, said this shows the poor governance and incompetence among the present state administrators. “They have failed to contain the problem of the massive timber mass and debris that clogged the Rajang River,” said See who also warned that Sarawakians will suffer greater losses in terms of socio-economic costs and ecological damage. Entering the hall of shame seems to be quite common for Malaysia, especially when it comes to human rights. 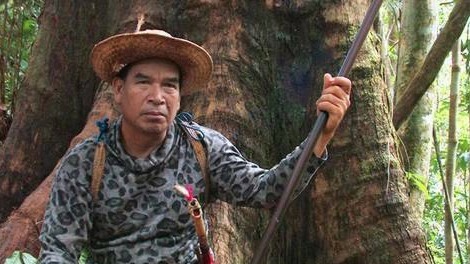 Survival International, an international indigenous rights NGO, has named Sarawak timber giant Samling as one of the five biggest violators of tribal peoples’ rights worldwide. Other companies named and accused of human rights violations by the NGO include French-owned GDF Suez, Brazilian-owned Yaguarete Pora and Botswana-owned Wilderness Safaris. Rotting wood clogged up 250km of the Rejang, the largest river in Malaysia, and the life-giving artery that flows from the heart of our state. 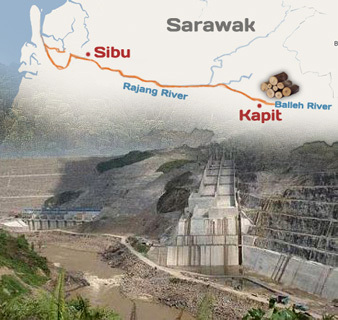 The construction of the Bakun and seven other dams plus the coal-fired power plants are economic rip-offs – they are Sarawak’s own get-rich-quick schemes. 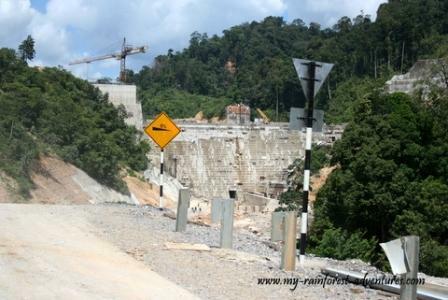 “The massive sums involved in building these large dams would certainly guarantee handsome profits for the privileged project proponents,” said See Chee How, Sarawak PKR information chief. The water behind the Bakun Dam will be impounded tomorrow, but has the government put in place an emergency rescue plan (ERP)? An environmental conservation group does not think so. 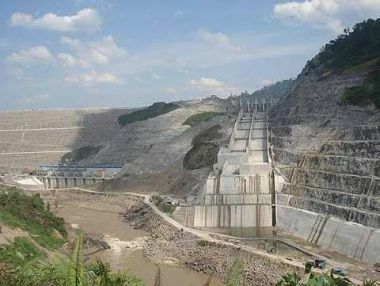 The Sarawak Conservation Alliance for Natural Environment is worried that the riverine communities living upstream and downstream of the dam will be in grave danger once the dam is impounded (closing the diversion tunnel gates to allow water levels to rise). 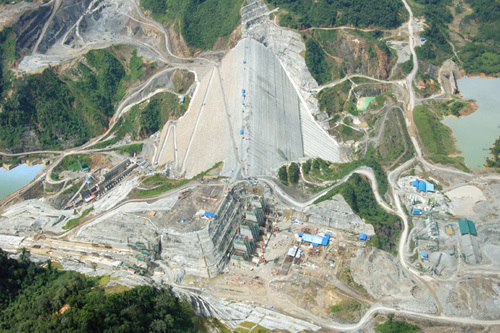 “The government must make public the ERP for Bakun Dam before impounding the water. If there is no such plan, then the government must not proceed with its flooding trial run until an ERP has been in place and the people have been adequately informed of the procedures laid down by the plan,” said the group national coordinator, Raymond Abin. 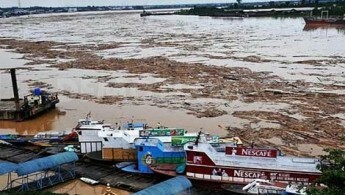 Log-jammed river disaster unfolding in Sarawak – Now in Sibu ! (Updated with Video) This is outrageous and disastrous. Will the state government spend astronomical sums of Sarawakians’ money to clear up the mess or just let the rotting logs flow into the South China Sea? Will the culprits be prosecuted? The Chief Minister, in charge of issuing logging licences for the last 30 years (and indiscriminate destruction of our forests) should be held responsible. 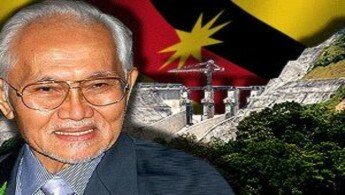 Taib’s massive headache….. He deserves it! ( Video Inside )This is outrageous and disastrous. Will the state government spend astronomical sums of Sarawakians’ money to clear up the mess or just let the rotting logs flow into the South China Sea? Will the culprits be prosecuted? The Chief Minister, in charge of issuing logging licences for the last 30 years (and indiscriminate destruction of our forests), should be held responsible. RAZIAH GRABS MULTI-MILLION DOLLAR FOREST FOR JUST RM 250! 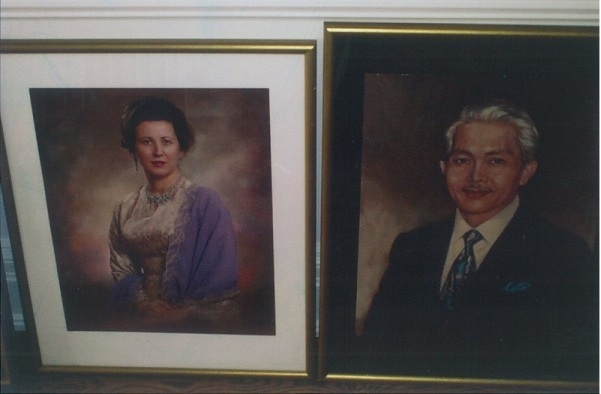 In an act of breathtaking meanness and greed the multi-billionaire Taib family are seeking to deprive impoverished Ibans of one of Sarawak’s last remaining hardwood forests, for a paltry compensation of just RM250 per family. Meanwhile, Sarawak Report has received exclusive new leaks which indicate that the Chief Minister himself stands to personally profit by a million times that amount (an estimated RM250,000,00) in corrupt backhanders from the deal. MIRI, MALAYSIA. 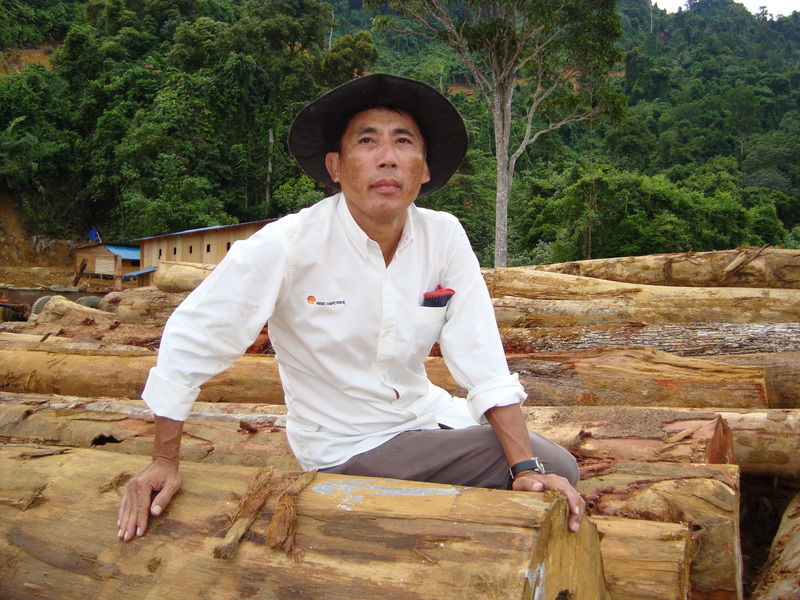 Samling Global (HKEX 3938), the Malaysian timber group that has been excluded from the Norwegian Government Pension Fund for grossly unethical conduct, has failed to respond on corruption allegations linking the group to Abdul Taib Mahmud, Chief Minister of the Malaysian state of Sarawak. KUALA LUMPUR: The RM7.3 billion in Sarawak, already condemned as a catastrophe for the environment and tribal people, is now battling suggestions it could become a giant white elephant. The dam, which will eventually submerge an area the size of Singapore, is finally nearing completion after suffering a series of setbacks and delays since its approval in 1993. 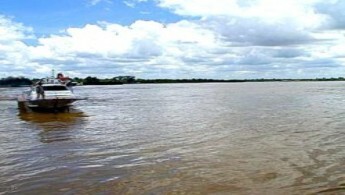 But at the last hurdle the project has stumbled again, with delays in winning the state government’s permission to begin the flooding process and no deal yet on purchasing its hefty 2,400 megawatt output. With ambitious plans for an undersea cable to feed the Bakun’s electricity to the Malaysian peninsula now abandoned, the Sarawak government is the only feasible buyer — leaving it with a very strong hand. 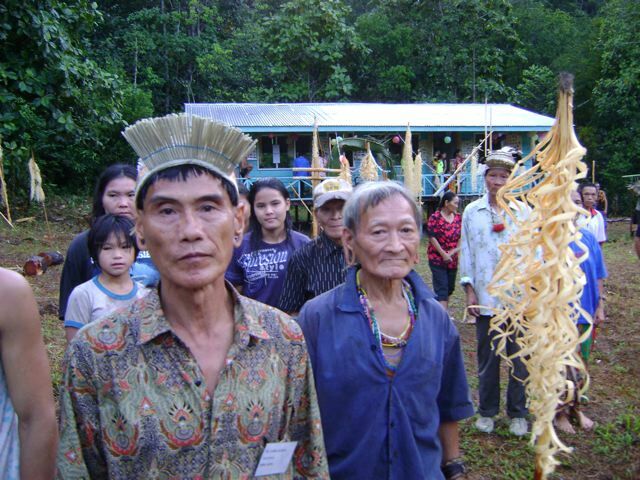 A group of villagers have accused the Sarawak forestry department of blatant disregard of their native customary rights (NCR) over their communal forests. Activists Nicholas Mujah and Numpang Anan Suntai who are helming the group said the department was refusing to suspend the license issued to logging company, Quality Concrete Holding to stop harvesting of timber in their ‘pulau galau’ (communal forest). Land Development Minister James Masing is furious at opportunist companies who are flouting government guidelines with their indiscriminate logging and oil plam plantation activities in the water catchment areas at Murum, Ulu Belaga. “There are guidelines issued by the relevant authorities in order for them to carry out their activities systematically, but some of the timber and oil palm companies don’t seem to care. “They think they can do whatever they like since they are in the interior,” he said. Last week, Masing received complaints from the locals on the indiscriminate activities of logging and oil palm companies at the dam catchment area. 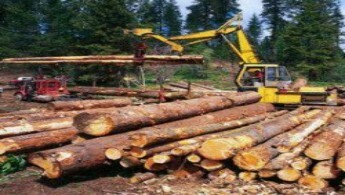 Norway’s Ministry of Finance has excluded Malaysian timber multinational Samling Global and two Israeli companies from the portfolio of its Government Pension Fund Global (GPFG). in Samling Global, which is listed in Hong Kong. 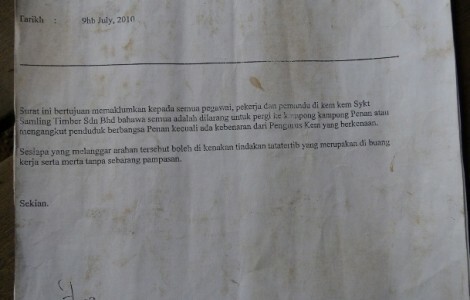 Anak Ulu Baram in his/her comment yesterday wrote: “News from Ulu Baram saying that Petronas is financing the PPF/PGA and local drivers sending their people (armed PPF/army) to clear the blockades by Penan in Long Kevok … Long Seridan area,” He/She enquired if we can verify the “news” he/she received. Last night, our contact in Ulu Baram verified with us that the blockade still stands. At 9.15am this morning, U, our Penan friend in Long Kevok, made a short trip to the blockade site and called to confirm that it remains where it stands. 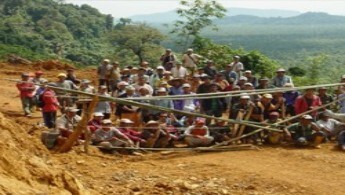 The local indigenous communities are not objecting to the laying of Petronas gas pipeline, however it is understood that Petronas contractors have caused unnecessarily extensive damages and destruction to forests, their land and crops, disregarding the voices of grievance and distress by the affected Penan, Kenyah and Lun Bawang settlements. The National Taskforce Report released in September 2009 (Laporan Jawatankuasa Bertindak Peringkat Kebangsaan Bagi Menyiasat Dakwaan Penderaan Seksual Terhadap Wanita Kaum Penan Di Sarawak), confirmed that the allegations of sexual violence and exploitation of Penan women and girls by loggers was true. Another mission, by NGOs, was set up two months after the report was made available, because of the unsatisfactory response by the Sarawak state authorities, and their denial of the findings of the National Taskforce Report. The once proud, well-trained Sarawak police force are now mere lackeys of the timber companies, as events yesterday make only too obvious. The Penan, who have been erecting peaceful jungle blockades in protest at the savage destruction of their hereditory lands, were yesterday confronted in Long Sebayang, Limbang by gun-waving policemen. 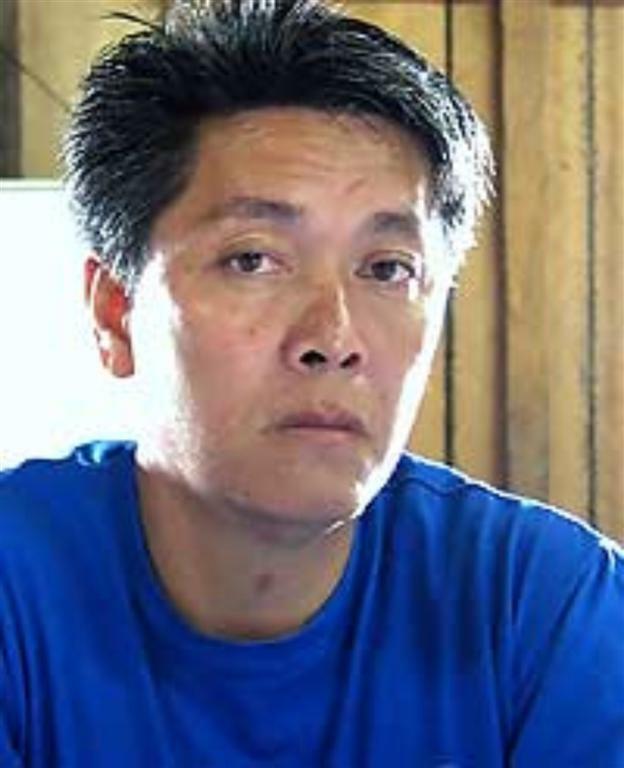 They were acting on behalf of Lee Ling Timber, the other party to the dispute.